A man's kilt usually contains just the one obvious secret. 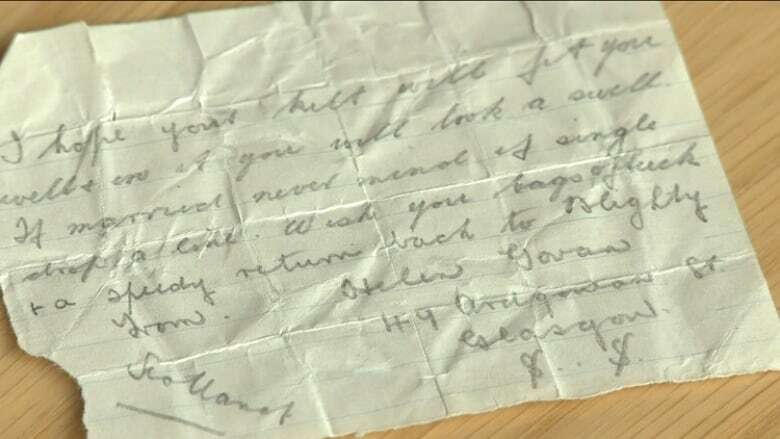 But stitched into a kilt that's been in her family for generations, a British woman discovers a hidden note of somewhat romantic intent. The message is direct, if not a little cheeky. it was intended for one of the kilted soldiers in the London Scottish Regiment during the First World War. Dr. Helen Paul of the University of Southampton found the note, and describes what it was like to find the note to As it Happens guest host, Helen Mann. "I thought it was amazing," Paul says. "[It's] just sort of incredible that this lady had written this decades previously and that the note had survived." Paul explains that the kilt had been in her family for generations, but that it had never been worn. 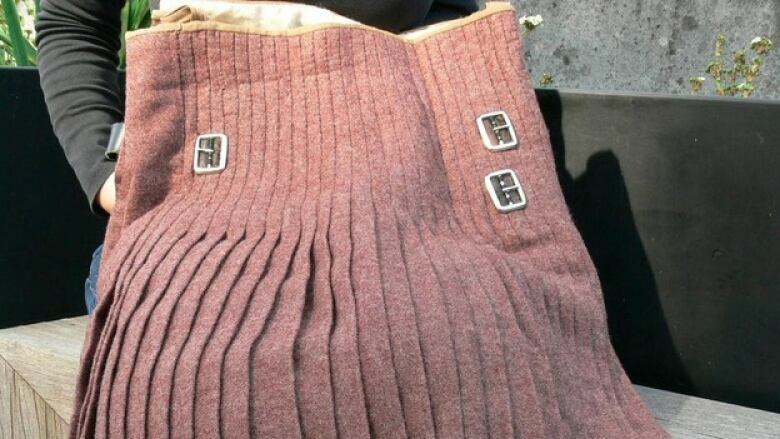 "Because it hadn't been worn, the note had just been stuffed into the pleats and just lodged there. It had never fallen out." The discovery of the message sent Paul on a quest to learn more about the note's author, Helen Govan, a seamstress from Glasgow. And the Scottish government became interested in the kilt's message as well. "They discovered that she was born [in Glasgow], she was single for her whole life and she died in the '60s," says Paul. "And they've put out a call for relatives." The government was hoping to honour Govan as part of a memorial. After 25 years, a boy's message in a bottle is finally found. A jury spends its downtime from court writing a cookbook. The founder of the Ephemera Society collects discarded pieces of paper. Two cross country runners use Rock, Paper, Scissors to decide a race winner. The end of hard English toilet paper. An orchestra pops paper bags instead of using cannons in the 1812 Overture.